This is a really pretty solar quartz pendant necklace. 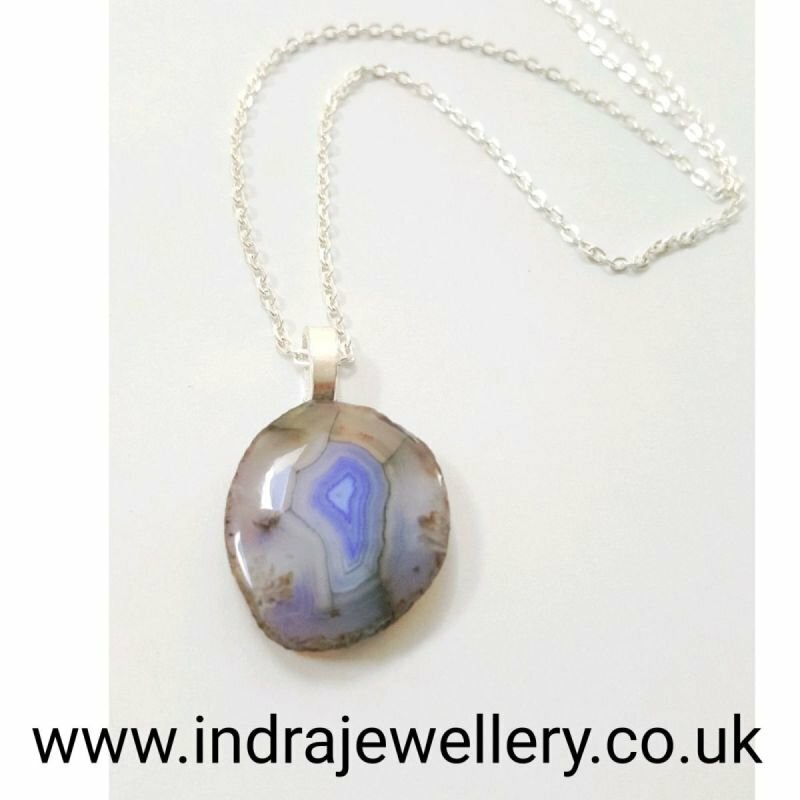 The pendant is a natural solar quartz slice which is predominantly grey in colour, it has lots of everdecreasing circles which leads your eye to the centre of the quartz which is a stunning purple! I have added a silver bail and attached it to a silver plated chain. The pendant measures approximately 1" by 1" and the chain measures 18". The photos don't do this necklace justice, it will go with any outfit, whether it is daytime or evening.